snowhydra games has announced the release date and price for arcade shooter Zarvot. Zarvot will release October 18, 2018 on the Nintendo Switch eShop for USD19.99. New York-based independent studio, snowhydra games will debut its long-awaited quirky arcade shooter Zarvot on the Nintendo Switch eShop October 18th for $19.99. Zarvot is a whimsical game about cubes that sometimes love and sometimes hate each other. 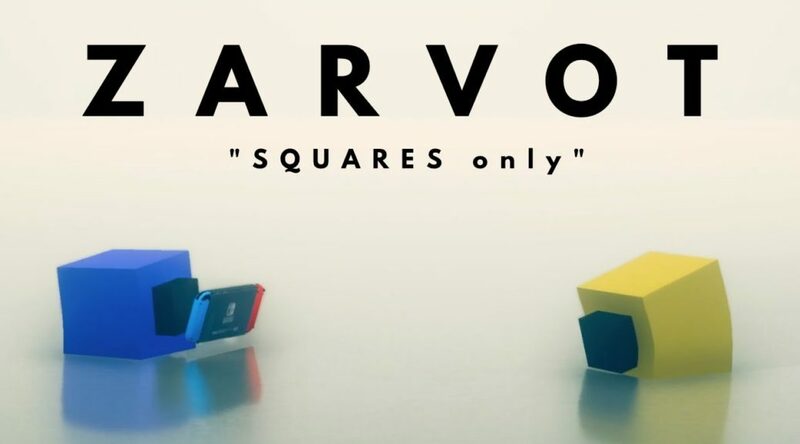 Featuring ultra responsive controls rendered at a silky smooth 60fps, Zarvot tasks players with blitzing around as an uncannily anthropomorphic cube, capable of shooting, evading, double jumping, and spinning into opponents with furious relish. Zarvot features five competitive multiplayer modes ranging from classic Deathmatch, to a sushi collecting scramble, to the Switch-exclusive Joy-Vot wherein one player spawns in enemies to fight their friends. Each match is set in a fully destructible arena full of breakable walls, deathly hazards, and moody weather effects. Additionally, Zarvot features an entire story-driven single-player campaign, as players assume the role of affable cube Charcoal who goes on a journey with their pal Mustard searching for the perfect way to cheer up their friend on their birthday. This heartwarming journey will take players through nine different zones, featuring fully realized dioramas of an abstract world that operates not unlike our own. These comical, cosmopolitan cubes still need to go to flower shops, ride the metro, and sleep in their beds. In Zarvot, snowhydra takes the most humdrum of inanimate objects, and turns them into some of the most well-realized animated characters you’re likely to find.